Ever tried contacting an insurance company through an agent or dialed a call center number? Even with best practices in customer experience, insurers are struggling to provide optimum customer service as agents are usually scrambling between multiple systems to find the ideal response to a query. Customer care representatives have their limitations in terms of how quickly they can serve the customer with the expected response. In this digital era, customers expect instant gratification and waiting through lengthy phone prompts is quite irksome. IT managers at leading insurers are now looking at ways to improve their customer experience. 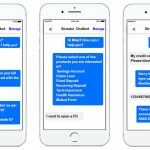 One of the latest transformation technology changing the customer service industry is Chatbots. A chatbot is a program that communicates with the customer, by using a text interface and artificial intelligence. Messaging has emerged as the preferred mode of communication and enterprises are now jumping on this bandwagon to seamlessly handle millions and millions of one-to-one conversations with customers. Insurance industry is at the forefront of this change in customer interaction. Third-party services like Slack, Facebook, Twitter, WhatsApp etc. are the new interfaces actively bridging the communication gap that existed between Insurers and their customers. Insurers are focusing on developing intelligent chatbots powered by Natural Language Processing (NLP) and Machine Learning (ML). Chatbots are becoming increasingly powerful nowadays and can recognize speech patterns and non-verbal hints of customers. Users believe that they are interacting with humans itself who are smart enough to listen to queries and capable in providing the best possible solution. There are times when we download an app and uninstall it within a couple of days as using the app is a real struggle due to improper content organization. Chatbots can help the user get answers to his queries quicker, thus reducing the time in finding the exact information you were looking for. Deploying “integrated solutions” on web, mobile and third-party applications like Facebook messenger is now very easy with app automation technology. Low code automated chatbot development has made it easy to build chatbots and deploy them in the channel of your choice. Chatbots help in indulging in a 2-way conversation with the customer, thus keeping the conversation flowing and creating superior customer experience with personalized responses. Chatbots are a promising new channel for conveying information faster to customers as compared to traditional channels. Thus, chatbots increase organizational efficiencies, improve customer engagement, drive sales by turning complex and tiresome processes into useful and interesting conversations. 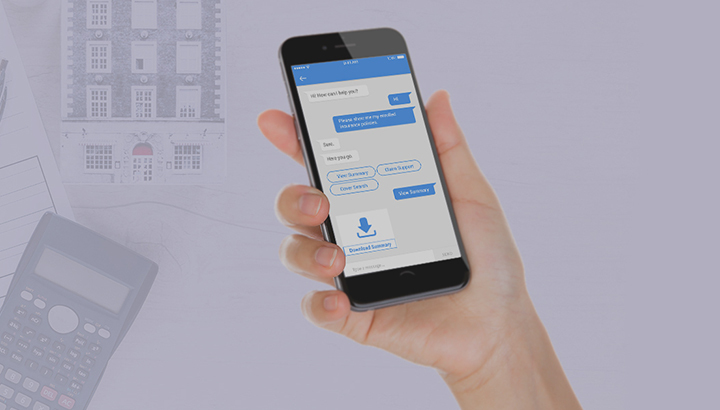 Streebo has developed a breakthrough automation technology – Streebo Chatbot Builder – that can help create Enterprise grade chatbots with an ease of drag and drop. Line of Business or IT team can easily build chatbots on their own and train the bot for understanding “user intent”. With a point and click integration to variety of backend systems, Streebo Chatbot can easily pull information from your core insurance systems like Genalco, Ingenium or any other database. So, are you looking to transform your insurance enterprise? Get in touch with Streebo to learn how our chatbots can transform your customer interactions. Get in touch for a personalized demo today.